Creasey Park is home to local football clubs Dunstable Town FC and AFC Dunstable. Dunstable Town FC 1st team play in the Evo-stick Southern League Premier division and AFC Dunstable in the Evo-stick Sourthern League East division. Dunstable Town FC are a historic town team that now comprises one men’s first team and 12 youth teams. AFC Dunstable is a 30 team FA Charter Standard Community club with youth (boys & girls), men’s reserves and ladies teams. Further information about each club and their fixtures can be found on their websites. Creasey Park was once famed for George Best gracing the pitch for Dunstable Town FC! Now whilst you watch Dunstable Town FC progress up the football pyramid you can enjoy a Bestie Burger from the refreshment kitchen. A state of the art 3G synthetic full size pitch – This pitch is available for training sessions, football parties and recreational use. Community space – The community space is suitable for parties and functions, holding up to 100 people. The community room with bar can be hired for that special occasion. Bar and catering facilities – Creasey Park operates as a non-member bar every evening, showing premiership football via BT Sport. Full size stadium pitch – This newly laid pitch will be home to Dunstable Football Club and AFC Dunstable. Occasional use will also be available for one-off big games, such as local cup finals. BMX track – The new BMX track is publicly available from 10am to dusk. Simply turn up and enjoy the new track. 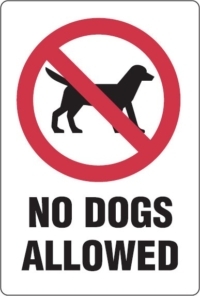 We do like to remind all customers and visitors that Creasey Park operates a no dog facility.